Be the first to share your favorite memory, photo or story of Paul . This memorial page is dedicated for family, friends and future generations to celebrate the life of their loved one. Paul Carl Doyle, 80, of Moss Point, MS passed away on Friday, March 22, 2019. He was born April 20, 1938 in Indianapolis, IN. He relocated to Pascagoula in 1960. 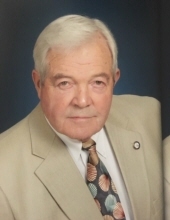 He has lived in Moss Point for 20 years and retired as a life insurance agent and chartered life underwriter. He was also a USCG licensed boat captain. He enjoyed boating, fishing, and reading. He was member of several organizations and clubs, such as YMBC since 2001, American Legion where he helped with the Honor Guard, Audubon Society, Wildlife Habitat, Knights of Columbus - fourth degree, Gulf Coast Charter Boat Captains, and the US Submarine Veterans, Inc. He was a past Commodore of Singing River Yacht Club, Friend of Moss Point Library where he helped with the cemetery program, he served as secretary and treasurer of Jackson County Sheriff’s Flotilla, and St. Vincent de Paul Society where he helped provide utilities and food to the needy. He was a long time member of Our Lady of Victories Catholic Church. Paul was preceded in death by his father, John Carl Doyle; mother, Ruth Davis Phillips; and wife, Joanne Goodhart Doyle. He is survived by his wife of 35 years, Kaye Walker Doyle; children, Bethany & Rob Vincent, P. J. & Jennifer Doyle, and Dana Martin; grandchildren, Hudson Vincent, Carlyle Vincent, Mary Bethany Vincent, E. J. Martin, Joanne, Buddy Paul, & Mary Margaret Martin, Camille Doyle, and Jonathan Doyle; sister-in-laws, Jeanne (Chet) Allred, Cynthia (Ricky) Zubic, Toni (Ed) Manning, and Hope (Christman) Morgan; mother-in-law, Jackie Walker; life-long friend, Dr. Matt Kuluz; along with numerous nieces, nephews, and other relatives and friends. Visitation will be held on Monday, March 25, 2019 from 9:00 a.m. until 11 a.m. at Our Lady of Victories Catholic Church in Pascagoula. Mass of Christian Burial will begin at 11 a.m. with Father Adam Urbaniak officiating. Interment will immediately follow at Machpelah Cemetery in Pascagoula, MS. In lieu of flowers, the family requests donations be made to St. Vincent de Paul Society, P. O. Box 368, Pascagoula, MS 39568. Heritage Funeral Home, locally owned and operated in Moss Point/Escatawpa, MS, is in charge of arrangements. You may view and sign the online register book for Paul Doyle at heritagefuneralhome.us. To send flowers or a remembrance gift to the family of Paul Carl Doyle, please visit our Tribute Store. "Email Address" would like to share the life celebration of Paul Carl Doyle. Click on the "link" to go to share a favorite memory or leave a condolence message for the family.